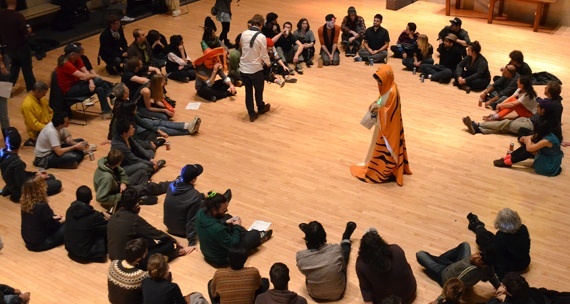 A recent Occupy Wall Street meeting being facilitated by an organizer in a tiger suit. For those closely involved in Occupy Wall Street, it seems fitting that the words “take me to your leader” are conventionally said by an alien; they’re about that hard to process, and that weird. Yet one hears this sort of thing a lot. It remains a common refrain among sympathetic well-wishers outside the movement that leaders in the traditional King-Gandhi-Chavez mold are necessary for civil resistance movements, or even that they’re inevitable. But within OWS, leaderlessness — or horizontality, or, as it is sometimes said, being “leader-full” — is non-negotiable. It’s at the very core of why many people in Occupy find the movement so revolutionary, and so empowering, and so right. This doesn’t mean, however, that it’s clear how exactly one is expected to behave in a leaderless movement. What does truly leaderless leadership look like? This might seem like a rather knotty and distracting internal question, something better left to the hairsplitters standing on the sidelines while the “real” work gets done. But actually it should matter to everyone who has any stake in what effect the movement is having and will have. History (plus data) suggests that the outcomes of social movements generally resemble the structure of the movements themselves — from the for-profit governance of the Tea Party to the vanguardist Bolsheviks. The way a movement organizes itself can be a glimpse of things to come, and a chance to craft what eventually emerges afterward. 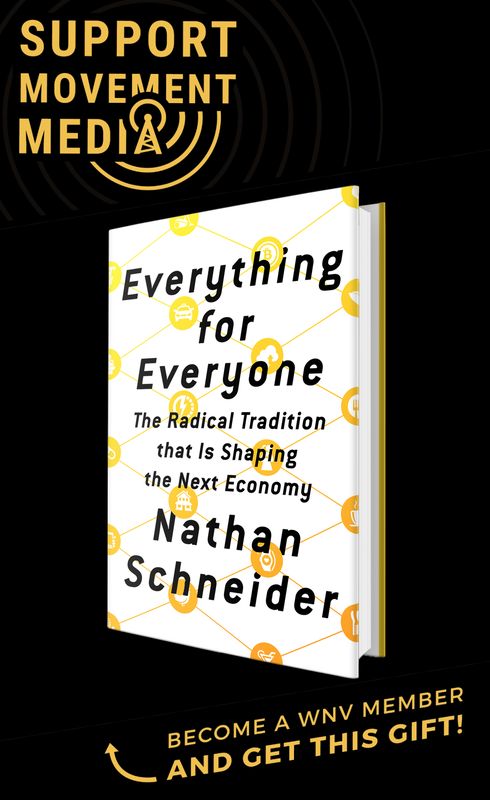 My guess is that a lot of this sensibility may come from so many people spending so much of their lives with machines, connected to each other through decentralized, self-governing networks. Nowhere is this effect more evident than in Anonymous, infused as it is with a culture that combines sometimes-consciencious pranksterism with ruthless policing of self-aggrandizement. 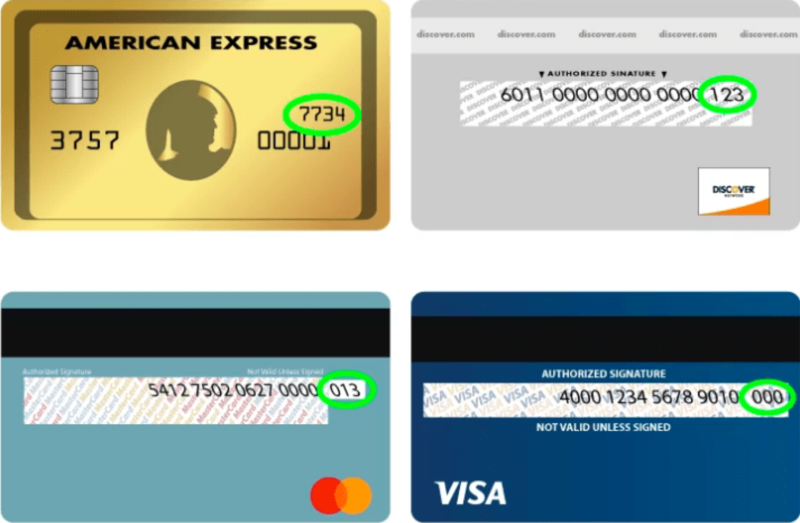 Try to take control or get too much credit in Anonymous, and you’re out. Whatever the reason, though, leaderlessness is turning into the dominant mode of popular political organizing the world over. It’s suggestive, too, that this ethic stands in such stark contrast to the behavior of politicians even in supposedly democratic societies. You wouldn’t know it from watching the news, but this past winter was a pretty exciting time for Occupy Wall Street. While there were fewer visible actions taking place in front of cameras, the movement was spreading its trouble-making tentacles, whether through local neighborhood assemblies or InterOccupy, the movement-wide conference call system. These were the months that will determine whether this movement is a passing fad or a genuine historical force. And the problem of leadership has been an undercurrent all along — as new actions in the streets are being planned, as the movement’s relationship to elected politicians is being wrestled with, as discussions take place about how the movement should confront police violence. Talented and well-connected organizers have to navigate a precarious line between taking the lead on certain initiatives and “stepping back” so as not to accumulate too much power or appear too visible. In New York, at least, the ground is shifting for Occupy Wall Street. More and more, vital things are happening in independent, ad hoc project groups, further and further from what many see as the legitimate oversight bodies, the General Assembly and the Spokes Council. Much has been made recently, for instance, of a group of Occupiers and friendly 1 percenters (with ice creamers Ben & Jerry among them), creating what is projected to be a nearly $2 million fund for the movement — more than twice what the General Assembly has ever had. Groups like these are free to develop their own decision-making structures, and they’re expected to find informal ways of coordinating with the movement as a whole. They’re sometimes being formed by people like religious leaders and celebrities whose usual specialness tends to get drowned out in the General Assembly. Such ad hoc groups, in fact, have been a vital part of the movement since the beginning, being responsible for such projects as the website OccupyWallSt.org and The Occupied Wall Street Journal. Now, though, it’s more important than ever to make clear how the people creating these groups will be expected to operate if they’re going to be accepted as part of the movement. There needs to be a more explicit discussion of this; there need to be visible exemplars. Meanwhile, it’s worth taking account of the older, more leaderly stuff that seems to work too. Take the Tar Sands Action campaign, for instance, which has used highly-disciplined, top-down modes of coalition building and nonviolent direct action. Thanks to them, lots of people (nicely dressed) stood in front of the White House day after day and were arrested, many for the first time — and had some success in shutting down a multi-billion-dollar pet project of some of the world’s most powerful corporations. The Tar Sands Action folks also credited the support of the Occupy movement as part of the reason for their success. So, is this cool? Can efforts like this — run like a tight ship by celebrity activists — have a node in the Occupy cluster? Could such a group actually claim to be part of Occupy Wall Street? Occupy Wall Street organizer and Tiananmen Square veteran Shen Tong wants to go even farther; he thinks the time has come for appointing people to leadership roles. “If OWS does not have effective interfaces to the outside world of the equivalent set of faces and leaders,” he wrote in a memo to other organizers, “the outside world will choose for OWS.” He has been involved in organizing Ben & Jerry’s Movement Resources Group, among other controversial initiatives. As the response from fellow organizers to the memo made clear, his is a minority view. Ever since Occupy Wall Street first began with no police negotiator or formal PR team, the movement has had a tendency to resist accommodating for those in power. Ever since, within the movement, Occupiers have made it a priority to name and address instances of oppression and hierarchy against marginalized people and peoples, ones normally hidden in plain view. This winter, at conversation after conversation and in group after group, people in the movement itself were questioning their institutional frameworks too. They’ve come out with a few sets of answers. And what’s at stake is not simply a model of governance, but an entire culture, a mode of being and acting. (1) Start an open collective, affinity group, Working Group, whatever. (2) Be open, inviting, non-exclusionary. (3) Build consensus. Slowly, or quickly, but intentionally. (6) Don’t expect fame or glory. If you’re doing things right, you won’t get it. If you do, you won’t like it. (7) When you get frustrated, take a break. Leave town for a few days. Don’t burn out. (8) Don’t speak for the movement, speak WITH it. (9) Make your intentions absolutely clear. And your actions. Report-back often to your group and to the broader community (GA). (10) Have fun. Laugh. Don’t take yourself too seriously. • Hogging the show: talking too much, too long, too loud. • Problem solver: continually giving the answer or solution before others have had much chance to contribute. • Restating: saying in another way what someone else, especially a woman, has just said. • Self-listening: formulating a response after the first few sentences, not listening to anything from that point on, and leaping in at the first pause. • Avoiding feelings: intellectualizing, withdrawing into passivity, or making jokes when it’s time to share personal feelings. • Seeking attention and support from women while competing with men. So watch yourself. “Check your privilege,” as is said. Whatever you might think, these are not solely suggestions for some particular species of Occupy junkies. As movement after movement around the world seems to be telling us these days, a new way of doing leadership is ascendant. Perhaps “Occupy” can finally be the connector that brings together the aging activists (me included) with younger activists. I’ve been blessed to have friends much older and much younger who are deeply passionate and committed to change but who haven’t worked with each other in the past. Each can learn from and / leverage the work of the other. There’s room for all styles of leadership, including unleadership! Next week we’ll be at the SF Anarchist Book Fair and it will be interesting to hear about the anarchist perspective on occupy. The age divide that you point to is definitely an important question, and in some cases I think OWS’ approach to leadership has been a deterrent for older folks used to more traditional structures. This may especially be the case if I’m right about the significance of the internet in this. Also, I’ve found that many older activists have already experienced more or less leaderless approaches to organizing, and have seen the shortcomings, and are anxious for the movement to hurry up and learn the lessons they already know. In general, though, I’m reminded whenever I read stuff from the ’60s that, in comparison, Occupy has so little intrinsic age divide, and the young organizers tend to have hardly any animosity toward elders — except perhaps concerns about getting co-opted or slowed down. Good point — thank you! An important reminder that these considerations were not invented six months ago by the Occupy movement but have long histories.